First I want to thank you for joining the random giveaway. More than the joy of sharing my favorite stuffs with you, the thing I enjoyed the most about these random giveaways is that I get to read your thoughts. I learn so much from you as well. I wish we can all work together to save all those endangered animals. It’ll be great if all of us will really go out there and will truly involve ourselves in the whole conservation efforts. But then I know that its next to impossible as it takes a lot of money to start a conservation campaign. But in our own little way I know we can still do something. Let’s spread these endangered animals’ stories to other people, let’s share their plights. By making people aware of their present condition, we can make them care too. I know all of you have been waiting for the announcement of the winners for this random giveaway so I won’t make you wait any longer. 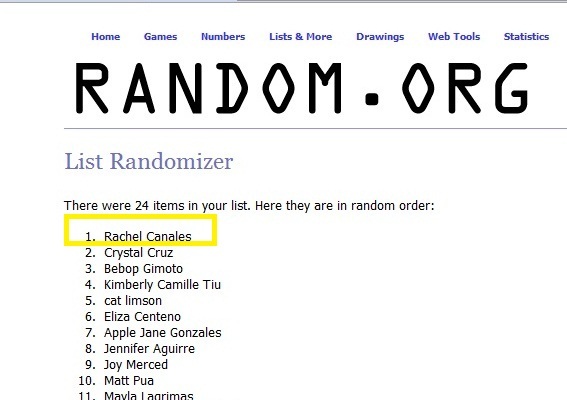 Congratulations to our lucky follower/commenter, Ms. Rachel Canales, one of the animal print bags from Rubi is now yours. 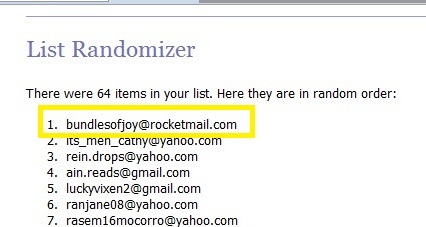 Congratulation too Ms. Joy Merced, you are the lucky subscriber who will get the other animal print bag from Rubi. Again, thank you for joining guys, let’s continue to spread the word about these endangered species and help make a difference. See you in our next random giveaway!